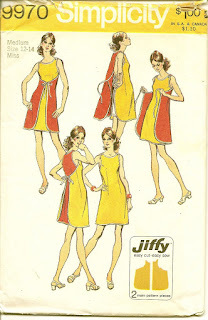 A month or so back, I picked up two boxes of sewing patterns at the Hosanna Church Sale. 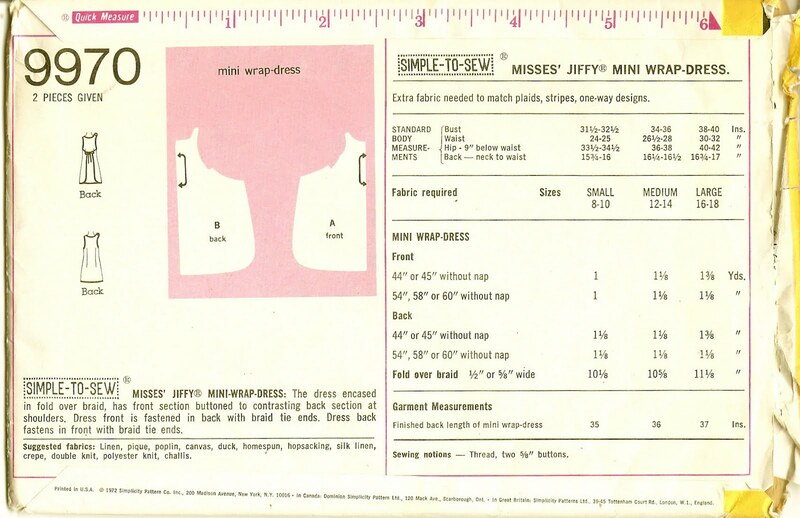 I've been slowly sorting through them, which this afternoon, brought me to Simplicity 9970, a Misses Mini Wrap Dress. 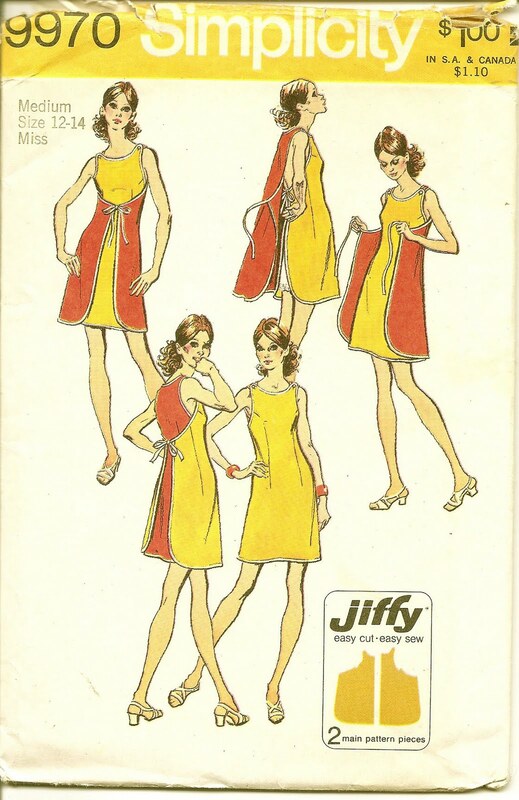 This sweet little pattern has a copyright of 1972. Now, let's see ... 1972 ... I was 14. As a teenager I recall we wore bell bottom pants, Pendleton shirts, peasant tops and backless sundresses. I do not recall wearing anything quite, well .... ugly. It does, however, look quite interesting. I actually found myself, for just a second or two, think about making it. 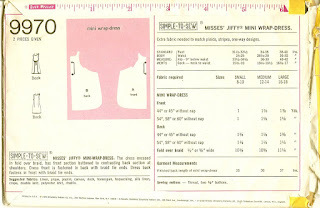 But, wait ... nope ... wrong size; I'd need a large. If you like to make it, it's available (unless it's already been scooped up as the winner it might be) in my shop.